"The best part about journalism is it's always new and different every day. I enjoy meeting new people and am grateful for the opportunity to tell their stories." 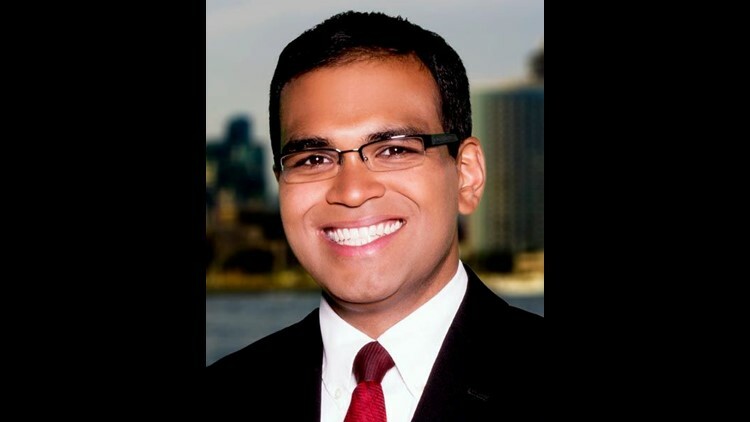 Brandon Lewisis a general assignment reporter for KFMB-TV in San Diego, California. Brandon Lewis brings his enterprising reporting style to the CBS News 8 team. A proud graduate of the University of Missouri, Brandon joins CBS News 8 from the CBS/CW affiliate in Albany, NY where he covered the nightside beat specializing in breaking news and also served as fill-in anchor. Previously, Brandon held reporting duties at WNDU in South Bend, Ind. and KMOU in Columbia, MO. With more than seven years reporting experience, Brandon is known for his versatility, covering everything from live, major developments at the state capitol, to criminal investigations and heartwarming profiles on community members. His passion is telling accurate and compelling stories. An early adopter of Facebook and Twitter, social media is in Brandon's DNA. Here at CBS News 8, look for Brandon's reports and engaging content on all media platforms and send your story ideas to @BrandonNews8 or BLewis@kfmb.com. Brandon's commitment to the community goes beyond reporting the news. He has supported numerous causes and organizations, including muscular dystrophy, lung cancer and AIDS research. Now, he joins CBS News 8's community efforts to give back right here in his new home of San Diego.